•	The demands on teachers are very high and more time set aside for professional development and greater investment in teachers is required for the school to meet its ambition for Outstanding School status. 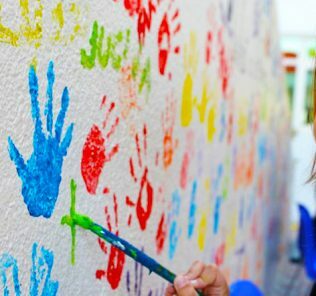 “Our ambition is to become one of the most outstanding schools in the Middle East. For our 2017-18 visit of Sunamrke we sent two of our team with a brief to understand the context and progress of the school since its first KHDA inspection after opening in September 2016. 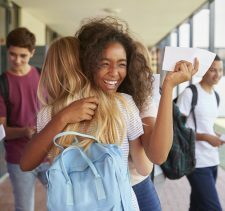 This was followed up by a second SchoolsCompared.com visit in June 2018. The KHDA inspected Sunmarke between the 13th and 16th March 2017. Parents should note that this was just 6 months after the school opened – and we think that the scoring Sunmarke school achieved, a “Good School with Very Good features”, is highly creditable given that the inspection was held such short time after the school opened. The follow-up KHDA inspection took place between 19th and 22nd February 2018 and saw the school achieving a Good School with Very Good and Outstanding Features rating. 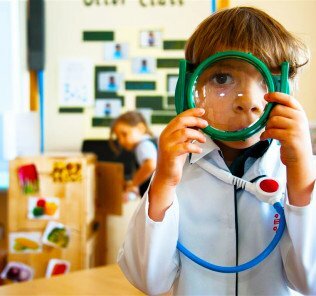 Certainly our view is that there is much to like at Sunmarke School – it is a very different school to your ‘run of the mill’ British school – with an extremely powerful cultural driver, instilled from FS phases by the school’s owners, that seeks to develop the whole child, giving the holistic development of its children the same level of importance as that invested in each child’s academic development. To put some context to this, Google, for example, is increasingly finding that its best employees are those that have soft skills – compassion, sensitivity, emotional intelligence, ability to work in teams, an innate sense of fairness, self-discipline, confidence, generosity, creativity – rather than the more obvious academic skillset to be found increasingly favoured in STEM subject study and an exam only focused school and college culture. We all know the types of people in later life that are successful – and it is not necessarily those that achieved straight As – in fact in business later we rarely even ask about qualifications, instead looking to how well a person relates to others, is dependable and “fits” within a business. 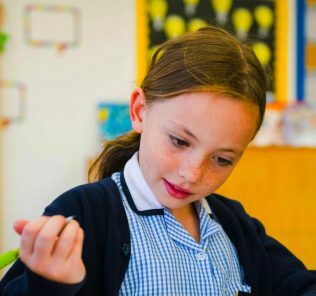 For us, it is this fundamental commitment to, and understanding of the importance of, soft skills – and the whole child, that sets Sunmarke School apart and makes it a really special school. 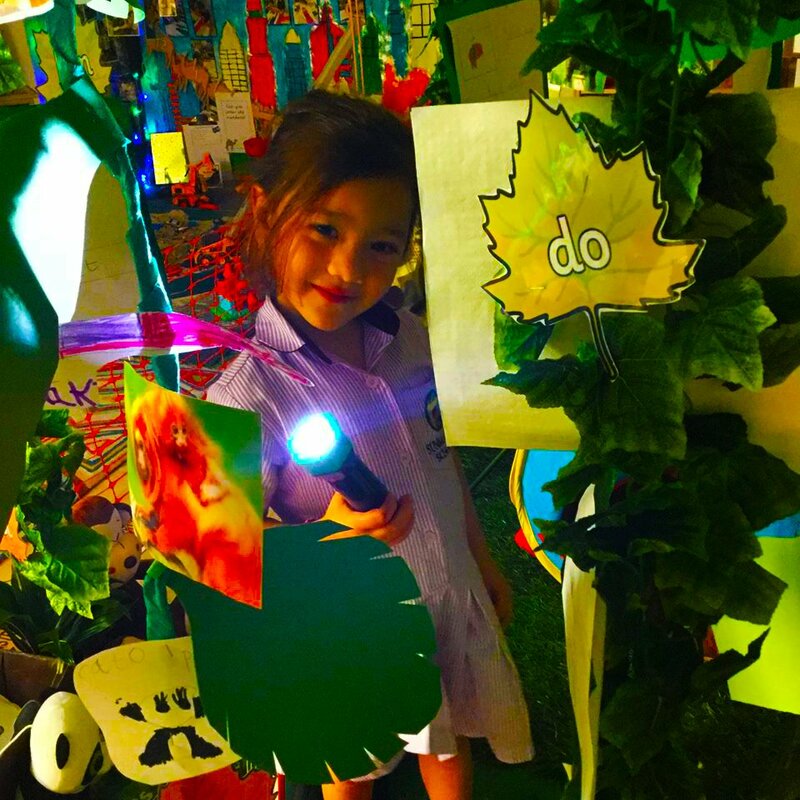 “Sunmarke school has an exceptionally good ethos and is supporting students very well towards adulthood…..leaders are striving for a learning community where holistic personal development is promoted, nurtured, and delivered through internationally recognised best practice. 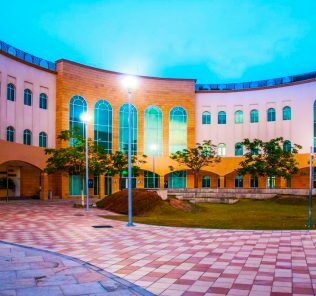 It is rare for the KHDA to use words like “exceptional” – and it’s interesting that the KHDA have picked up here too on something we think sets the school apart. If this sets the scene, a little more about the school practically. Sunmarke is a 3000-student capacity English National Curriculum based British school, opened by Fortes Education, as above, in September 2016. However, although it is a new school, it is not one that opens without heritage – more below. Three factors strike SchoolsCompared.com as being of note. First, the Sunmarke School was built because Fortes believed that existing provision at secondary phases had outgrown students at its existing Regent International School [RIS]. 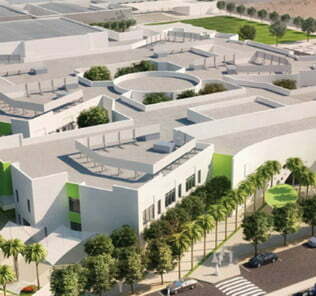 Our sister site, WhichSchoolAdvisor.com praised the decsision by Fortes at the time to invest ground-up in a new school; a number of existing schools in both Dubai and Abu Dhabi have clearly outgrown their facilities after rapid expansion and have either refused, or deferred building new schools to the detriment of pupils. Fortes, when it realised that its children needed more space – and access to new technology and facilities, responded to the challenge in an exceptionally powerful way to ensure that it could continue to provide the highest quality of education for its children. Building a new school is a brave enterprise – and we think should be seen as indicative of the commitment to children of its owners. 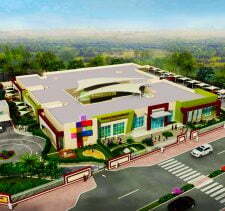 That it has built a school of this exceptional quality is a genuine testament to Fortes commitment, the school’s owners. This move also accounts for why the school did not need to stagger its secondary phase launch, as is the case with other school openings. Because all secondary-phase staff and students transferred automatically from Regent International to Sunmarke, rarely for a new school, Sunmarke was able to open offering seamless educational provision from nursery through to Y13. Regent International itself has returned to focusing on EYFS and Primary provision exclusively, an area where the school has built its reputation over more than two decades since the school’s foundations in a villa school opened by Fortes current owners, the Mankani family. Our review of Regent International can be found here. 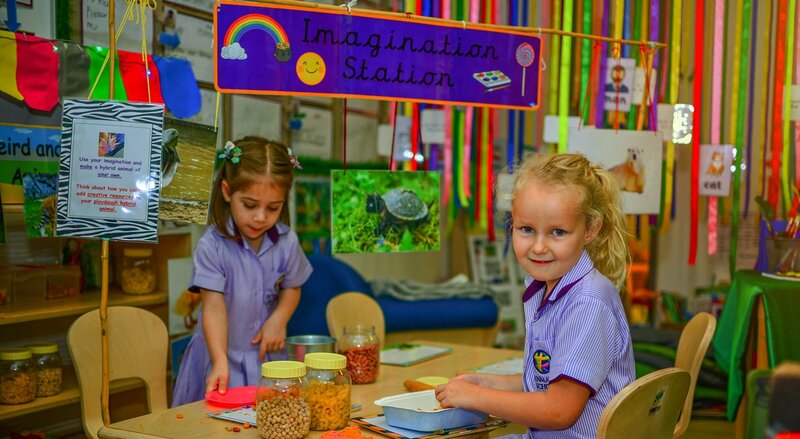 Second, on the basis of its current advertised plans, Sunmarke School will, on bedding in provision, offer the broadest choice of curriculum of any school in the Emirates. Why is this important? The broader the curriculum options, the more able any school is to respond to the individual needs, potential, talents and ambitions of each and every child. No other school currently has plans to, or currently does, offer this degree of choice for its children, A number of British schools have considered parallel stream A level /International Baccalaureate provision historically but plans have fallen by the wayside. Sunmarke are awaiting acceptance by the International Baccalaureate following the school’s application this year for accreditation and we will update our review as the school provides us with clarifications on progress. This breadth of choice, if achieved, will be groundbreaking for the Emirates – and is likely to result in welcome pressures on other Tier 1 schools to up their game. Of course, the devil will be in the detail in the degree to which each option is made available for each individual child’s portfolio when Sunmarke brings this level of choice on-stream in the next few years. 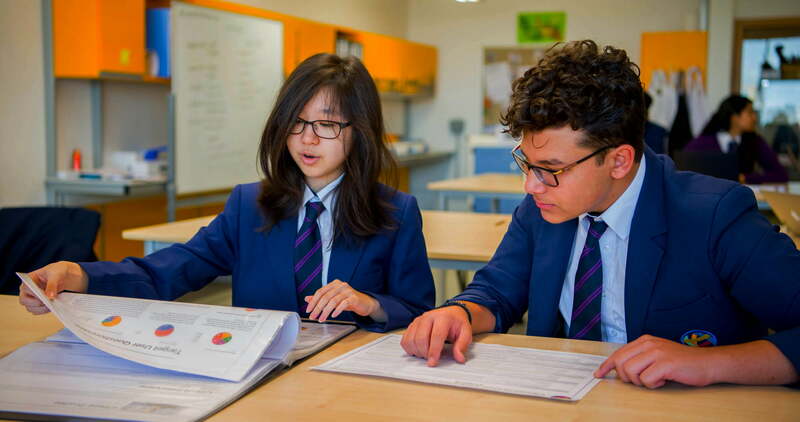 As it stands today (January 2018), the combined IGCSE, A Level and BTEC choice at Sunmarke is, in breadth, the best of any school in Dubai or Abu Dhabi. Details can be found in our tables. Third, based on the above breadth of curriculum offer, and notwithstanding Sunmarke School will eventually be an exceptionally large school, fee levels offer exceptional value. Sunmarke is a Tier 1 school across facility provision and investment. 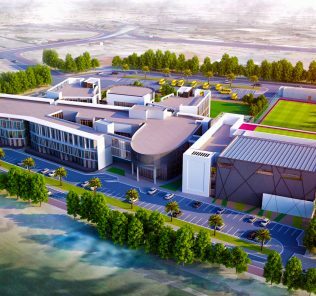 Current fees range from 44,900 AED to 71,900 AED , some 23,000 AED lower than KHDA’s approved tuition fees for the school (AED55,00 – AED95,000). Full details of KHDA fees can be found in the tables. By global, rather than Dubai standards, there is an exceptional breadth and quality of facilities within a premium, rather than elite fee structure. 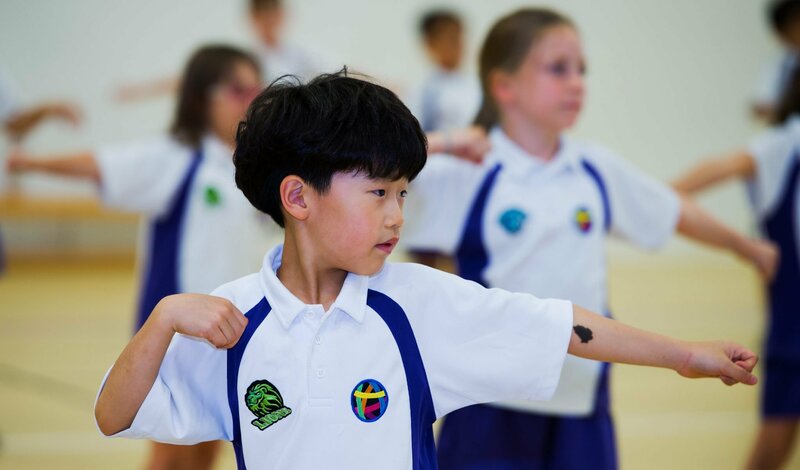 The three year discounted rates offered by Sunmarke School to founding students offer genuine value, particularly when combined with generous sibling discounts. Even Dubai’s most expensive schools cannot match its current curriculum offer. Sunmarke launched with a clear ambition to be an unequivocally top tier Outstanding KHDA school from launch. This is clearly evident across the breadth, scale and quality of school provision – it is a very different school to Regent International which has/d been a consistently rated (only) “Good” school by Dubai’s Inspectorate, although one with a number of outstanding features, particularly relating to the school’s ethos and child-centred focus. With Sunmarke School, the aim is to significantly ratchet up whole child development. It is aiming to achieve this not only by investment in a very broad spectrum and high quality of facilities provision, but also by extending the school day by one hour with attendance now required between 7:30am and 3:45pm – and, as above, most importantly by providing extraordinary breadth of curricular choice. The rationale is to maximise opportunities for all children (it should be noted that the school is fully academically inclusive) and raise standards. Extra-Curricular Activity [ECA] will now fall within the school day and become compulsory for all students. Sporting engagement will become a clear new focus for the school. Parental concerns at the length of the new school day, it should be noted, has seen some revision by Sunmarke of the approach to younger children, and potentially middle school children. 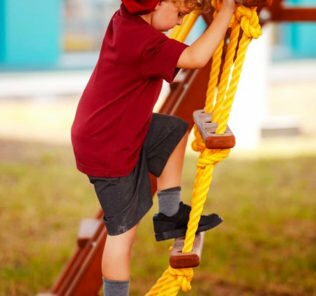 Some changes are inevitable in a new school as it beds in provsion – and these are actually good, and balancing, examples of the school being responsive to the needs of parents. It is worth noting that significant research shows that lengthening of the school day to incorporate ECA provision is a key driver for children performing well in examinations – and whole child development of softer skills. It is often quoted as the major differentiator in child performance at UK state and public schools and a major contributing factor in explaining why children who are privately educated tend to be much more confident than their state educated peers. Sunmarke, whilst initially continuing with existing A’ Level provision at secondary phases, as above, aims to move to dual stream IB DP/IB C/A-Level provision by 2019. The new whole child approach will see a strengthening of its STEM academic offering [Science, Technology, Engineering and Mathematics], combined with a focus on imagination and creativity with the Arts. Both are combined under its own new “Multi-Smart Learning” based curriculum approach combining academics, ECA and child value, leadership and character development. 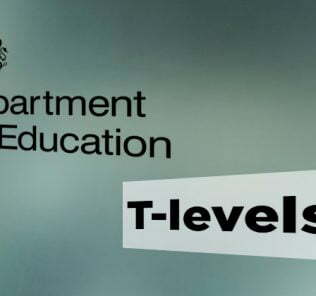 BTEC provision includes Business Studies; Creative Digital Media Production; Hospitality; Information Technology; and, Travel and Tourism options. The exceptional breadth of technical choice will also bring life to the International Baccalaureate Career-related programme on its launch. Facility provision at Sunmarke School is excellent including large, well-resourced, IT enabled classrooms; a dedicated 6th Form Blended Learning Zone; Activity Rooms for co-curricular activities; a large and inspiring Discovery Centre for EYFS children; 9 Science labs with large resource banks; 5 manufacturing and design focused Technology Labs offering specialist provision in ‘electronics & robotics’, ‘food technology’, ‘resistant materials’ and ‘textiles & fashion’; to promote product design and manufacturing skills; 4 ICT Labs; Digital Library; Wi-Fi enabled campus; 3 Fine Art Labs; professional Dance Studio; dedicated Drama Studio where students learn the craft of acting; a (fabulous) Black Box’ Studio for drama, performances and public speaking; 600 seat Auditorium built ground-up to meet thee requirements of theatre and the wider Performing Arts; 4 Music Labs; TV Studio; Radio Production Studio; Video & Multimedia Studio; IFA-18 sized football pitch; 5-a-side football pitch; athletics running track; swimming and learner’s pools; tennis, basketball, volleyball and netball Courts; 2 multipurpose halls for gymnastics, sport & game activities; shaded outdoor Play Areas and gardens; 3 Multiple Activity Rooms; 3 Library Media Centres (one for each phase of the school); 2 student Cafeterias for Primary Dining & Secondary Dining; 6th Form Common Room; Careers Centre; Parents Association Office; Teacher Training Centre; “Achievement Centre” for EAL, G&T and SEN provision; Counsellor’s Office; Medical Bay and meditation and prayer rooms. On our visit to Sunmarke School we noted a number of stand-out features. Below we pick some of the smaller features of the school that we think, collectively, captures the attention to detail that shone through at our 2017-18 visit. First, we really liked one thoughtful component of the school’s solution to the perennial problem of parking – it has a dedicated area for faculty parking on a separate raised area on the first floor of the building. This evidences really good school design and attention to detail – and an understanding of an issue that genuinely frustrates parents across the majority of schools in Dubai. Getting children dropped off at school safely and as seamlessly as possible matters to parents. 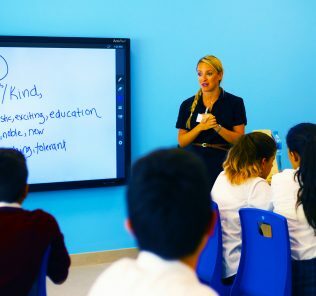 Second, bespoke desks have been designed in ‘segment’ form offering really good flexibility – several can be arranged in a circular configuration to enable teachers to create lessons and inspire engagement based on the type and subject matter of lessons being taught. Third, the school’s “Parent Room” offers an important small cafeteria style area for parents to engage. Parents are very active through the PTA, Advisory committee and strands of governance. Fourthly, Sunmarke School enables parents to purchase uniforms at the school rather than through treks to external providers. It is a small detail but it remains incomprehensible why so many schools still require parents to visit off-site suppliers and again demonstrates attention to detail. Small things add up. Fifthly, the Recording / Media area is absolutely first class, equipped with all the latest equipment including film cameras, multiple lighting rigs, green screen room and mixing desks for audio. The facilities will be an obvious asset to the BTEC in Media which is offered at 16 plus – again this is a really good example of both the investment of the owners and the attention to detail. Facilities are also not simply there – they are being used. Year 12 have entered the Dubai Children’s Film Festival and have been shortlisted in the final 25 of entrants – quite something for a new school. Many parents would be surprised to learn that we have visited a number of top tier schools brimming with headline facilities that lie empty. Having a facility does not mean a school is actually using it. We looked at two Music Rooms – again equipment levels are Tier 1 with traditional keyboards and PC-based digital keyboards interchangeable in cleverly designed pullout shelves. Sunmarke School also has a multi-media soundproofed room in addition to a Black Box drama / dance room. These, again, are all small parts of a bigger picture that adds up to a very well thought out school. We struggled to find any evidence at all of corners being cut – the ambition here, and delivery, is stand-out Tier 1. Sixth, sports areas at Sunmarke School are comprehensive and have been designed partially on terraces around the school buildings as well as at ground level. 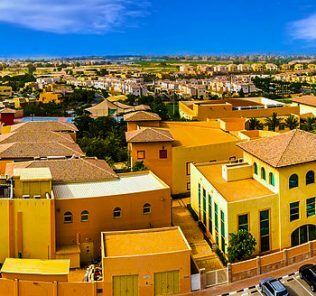 There is also access to some of the areas within Jumeirah Village Triangle (for example, the community Tennis Courts and grass area). 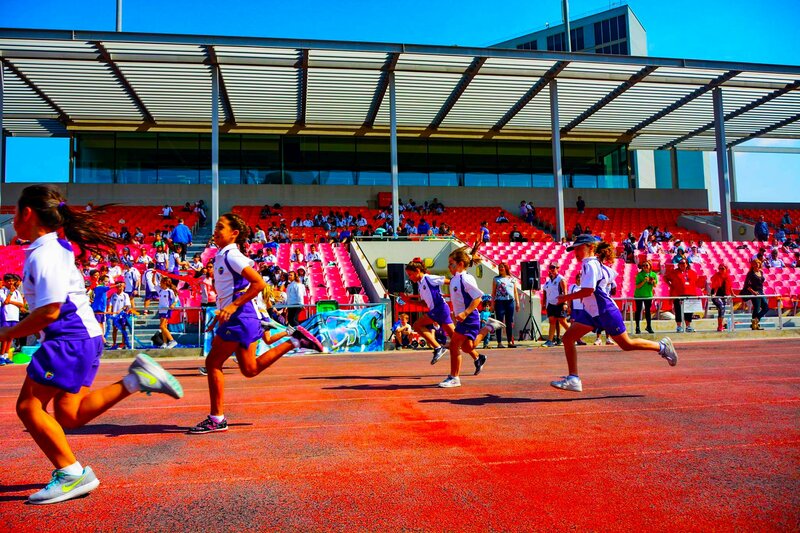 Currently 55% of students actively participate in sport at Sunmarke. The pool is 25M with 6 lanes, is shaded, and has a solid roof with largely open sides and integrated seating. There is also a separate Fitness Studio with weights, running and rowing machines. Seventh, dining areas are really pleasant – we found a good range of hot and cold food on offer, We really like the option for children to bring packed lunches as a matter of course (rather than being seen as a “second class” alternative). Secondary students have their own dining area and the freedom to enjoy lunch outside. Eighth, another good example of the thoughtfulness and functionality of the school can be seen in the ICT Suites. These are arranged so that student screens are angled in order to be visible to the teacher to ensure that progress and the activities of students can be monitored remotely at any given time. Ninth, another stand-out feature for us is the Secondary Library. This has been designed to encourage a cyber cafe atmosphere with desk areas, seating and an impressive array of books and PC’s – the aim is to make learning enjoyable and inspiring. The 16+ common room mirrors this philosophy and is similarly spacious with a small kitchen area. There are two dedicated offices for emotional counsellors and a staffed Careers Advice centre – another feature of schooling we believe critical. Two further rooms within the library space are set up for student collaborative work, conferencing or study. Tenth, there are eight very well equipped Science and Technology Labs and supporting resources, including full CAD, 3D Router and 3D Printer facilities. By any standards technology provision is outstanding. There is a dedicated Product Design and Graphics area as well as Textile Design, Food Technology and Design and Technology facilities. Eleventh, as an example of the breadth of facility provision at Sunmarke School, a (fabulous) Organic Garden is currently being created. Finally, the auditorium, will eventually provide 350-capacity theatre facilities. This is perhaps smaller than we would have expected for an eventual 3,300-capacity school but it is argued by the school that by restricting its size it was able to significantly diversify resources elsewhere. Primary ECAs are elective and take place at lunchtime. They include Origami; Coding; Digital Literacy; Tag Rugby; Choir; Swimming; Yoga; Creative Club; Multi-sport; Art Attack; Irish Dancing; Football; Debating; Creative Writing; ‘Dancercise’; Fitness Club; Arabic Reading; French; Guitar; Destination Imagination; Arabic Singing and Dancing; Arabic Calligraphy; Makaton Club ( sign language); Film making; Manga Drawing; Computing in Arabic; Drama; and, Graphic Design. Secondary ECAs at Sunmarke School include Arabic Dancing; Board Games; Lego; Maths Magic; School of Rock; SWAG; World Scholars Cup; Yoga; Art Club; Chess; Coding; Cross Stich; Drone Club; Guitar Club; Robotics; Sustainable Fashion; CREST awards; Creative Writing; Film Club; English G+T; Irish Dance; Stretch; and (currently) a Wizard of OZ Performance Group. We also particularly liked the extensive program of after-school intervention classes for Year 11 students to supplement their GCSE subjects. These are available in English; French; Arabic; Spanish; Mathematics; Computing; Islamic; Business Studies; Economics; History; Geography; Psychology; Sociology; PE Theory; Biology; Physics; Chemistry; Astronomy; Art; Music; Resistant Materials; Graphics; Electronics; Food and Textiles. Founding Principal Keith Miller brings close to four decades of experience to the role, latterly for GEMS where he was the Founding Principal of Cambridge International and GEMS Wellington International School. These roles followed around thirty years educational experience in the UK. 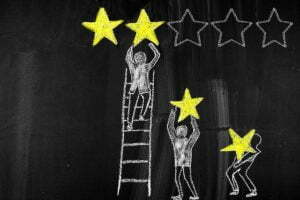 Feedback to both ourselves, and our sister site, whichschooladvisor, has been outstanding. On our visit we were accompanied by Jason King, Sunmarke’s Head of Secondary. It has been a very long time since we have met a member of a school’s Senior Leadership team so passionate about a school and ambitious for its children. School transparency and the richness of information provided to existing and prospective parents too is exceptional and it is clear that one of the drivers of leadership across all phases of the school is to be transparent, build strong bridges with parents – and, as importantly, celebrate Sunmarke children. Our View – the SchoolsCompared Bottom line? 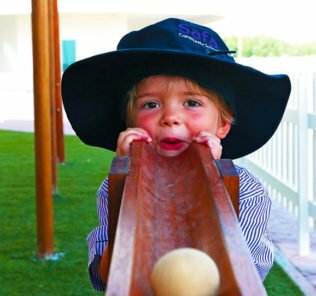 Sunmarke School – in its combination of planned curriculum breadth, responsive whole child provision, Tier 1 facilities and enhanced curriculum – has the promise to set new benchmarks for educational provision in the Emirates. Already in the scale and breadth of its IGCSE and Post-16 offer there is not a school to match it. When the IB Diploma and Career-related programmes come on stream Sunmarke will be competing on a global scale. Potentially this is a genuinely ground-breaking school. On the basis of our 2017-18 visit everything is in place to deliver a quite exceptional education for students. 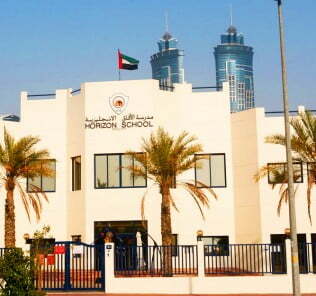 Parents should not be discouraged, as argued above, by the Good KHDA rating – this was made on the basis of an inspection made only 6 months after the school’s opening. We have no doubt that Sunmarke is an outstanding school in the making. If there is a weakness it is in the inevitable trade-off that comes with any school of this eventual capacity. A 3,300 role school will not suit all children. The benefits though that come from a large school – here in (planned exceptional) breadth of curriculum, very high calibre school leadership, experienced faculty and high value fee proposition, are very, very powerful draws. Sunmarke School, for us, is a very convincing school. 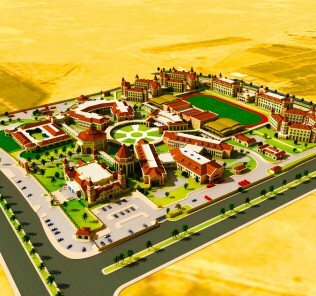 It is probably too, in the aspirations for its Post-16 curriculum provsion, the most ambitious of any school in the UAE. If delivered, subject choice, and the ability of the school to meet the needs, ambitions, potential and ability of all children will set a UAE benchmark. Whilst an interim judgement, this is a potentially quite extraordinary school and unequivocally recommended for shortlisting by parents for the education of their child(ren). There is much we have not covered in our review, including the fundamental “Positive Education” and “MultiSmart” learning ethics and approaches that underpin its approach to whole child education. 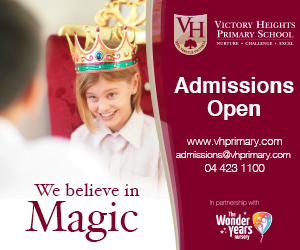 These, we believe alone, warrant a visit from prospective parents to the school to appreciate and explore in greater depth. 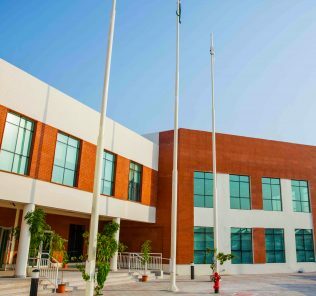 Sunmarke School, on the basis of our 2017-18 visits, the clear commitment of its owners and school leadership, the evident happiness of Sunmarke children – and a school curriculum offer today unmatched in other Dubai schools, with a breadth that cannot but inspire and provide choice for every child at the school, comes with much to recommend it. This said, the rate of change and ambition of what remains a very new school has come with some cost for teachers who have been pushed to their limits. Much TLC has been needed to more gently enact the many initiatives driving the success of the school for a very talented faculty. The rate of creditable investment and change needs better balance which is now being addressed. This in place, and ambitions met, this school will deliver an extraordinarily successful, highly inclusive and profoundly responsive education for children. Very interested in this school. My two boys have been going to Sunmarke School since it opened and we chose this school for the Positive Education approach to learning. I can definitely see the difference in their confidence levels, they look forward to going to school and are so excited to tell me about what they have been up to that day after I pick them up. The teachers are great, my son Bailey adores his teacher. Facilities are new and the school is not too far away from where we stay in the Springs. My two kids have been attending Regent and then Sunmarke for 10 years. We have had an outstanding experience with the school. We are truly impressed with the effort, resources and dedication the staff is investing in the growth and wellbeing of the children. no email goes unanswered, every request for advice is taken seriously and socialized among all relevant teachers, basically if you ask, they respond. We also came across many outstanding teachers, leaders, whose target is not to pass on knowledge but passion and grit. the positive education approach, albeit in its infancy, is a great plus. The kids work hard, and play hard. My boys moved to Sumarke School since 2018 and I am very with the progress I am seeing in them. They are more confident and outspoken. The teachers bond well with the children and help them take and make their own decisions after proper guidance. My kids look forward to going to school everyday and that’s the most positive thing. 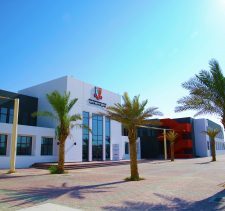 We decided to move from an Outstanding school and join Sumarke as they offered the Computer Science A level course – which is not taught in a lot of schools in Dubai. There is a certain value-system that everybody shares here and a great sense of inclusion. I have seen both of my sons flourish since being at Sunmarke, they feel seen by their teachers and it really drives them to want to excel. We are very happy with our choice.